Last week brought the news of two completely contrasting flying experiences, showcasing the increasing divide found between the premium and economy classes. Whilst Emirates unveiled its highly anticipated television commercial featuring Hollywood actress, director and producer Jennifer Aniston, news also came out of a new seating concept that will pack in even more passengers to an aircraft. Emirates has, to date, invested US$20 million in securing TV spots worldwide for this campaign, which will have a 30-second and longer 60-second version. 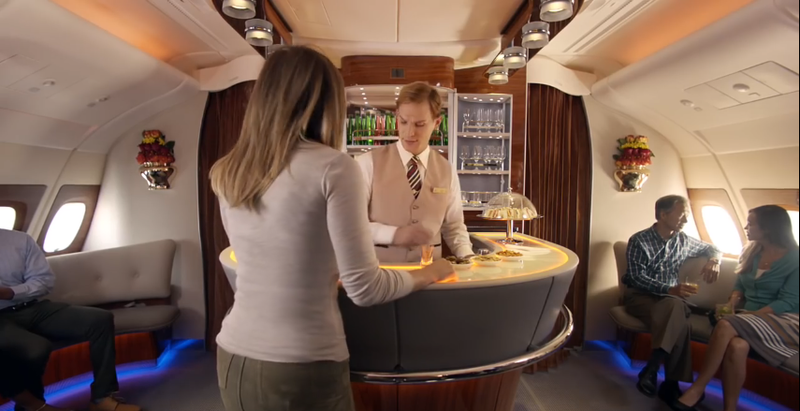 Boutros Boutros, Emirates’ Divisional Senior Vice President, Corporate Communications, Marketing & Brand explained: “Jennifer Aniston’s appeal and effortless connection with a global audience makes her the perfect choice for our campaign. As one of the busiest women in Hollywood, Aniston, like many of our customers, enjoys downtime only when she is travelling. 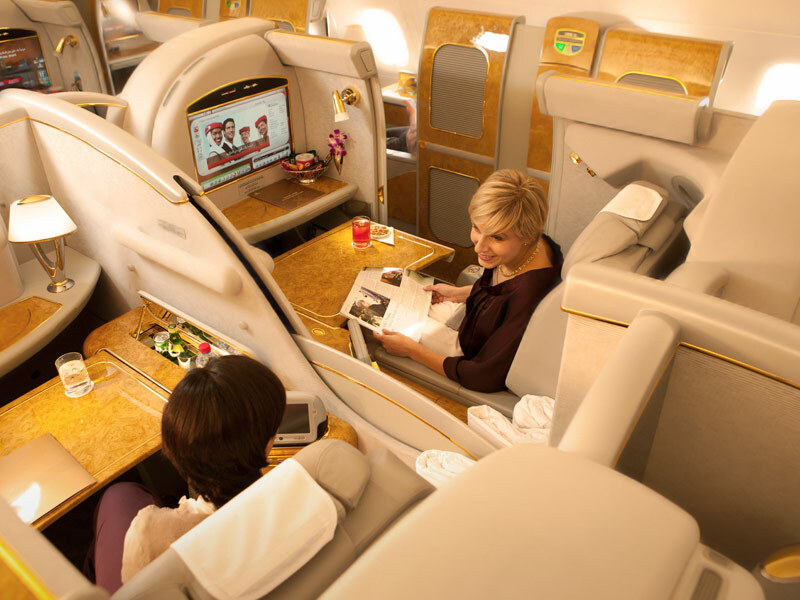 At Emirates, we ensure the experience is an exceptional one. “In a departure from the usual airline industry ads, we chose to take a humorous approach to showcase the amazing products we offer on board. We couldn’t think of anyone better suited for the role than Jennifer Aniston and we wrote the script with her in mind. Her professionalism and comedic talent shone on the set and we are very pleased with the outcome,” he added. The advert brings to light the very top perks found on Emirates flagship A380 aircraft including the Shower Spa and Onboard Lounge. 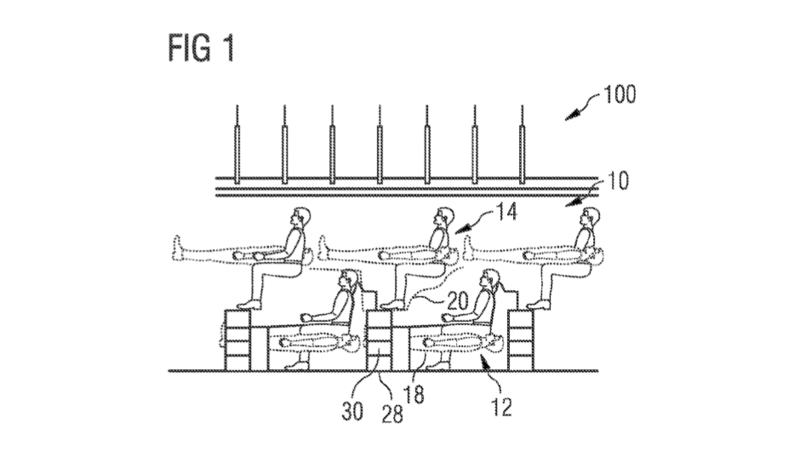 Meanwhile, Airbus last week applied for a patent to allow for a new seating concept allowing passengers to be virtually stacked on top of each other. 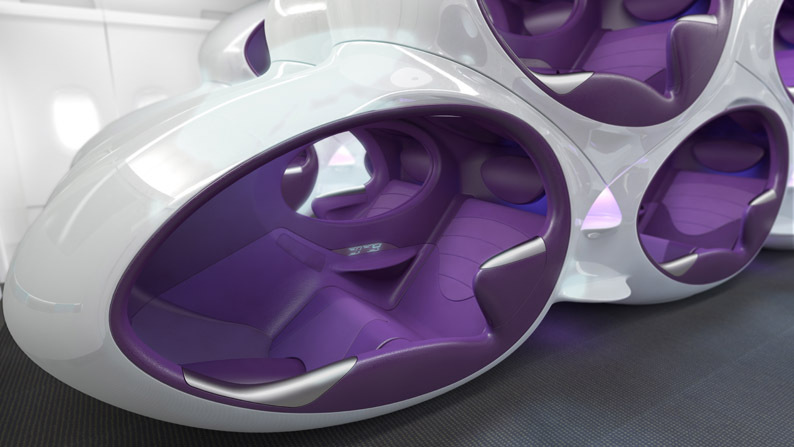 Whilst many patents never see the light of day, the new third-dimension in seating concepts has been played around with by many different seat manufacturers, including factorydesign who created the Air Lair design for Zodiac Seats UK. Whilst the concept of stacked seating may appeal to airlines to offer increased passenger numbers on aircraft, the passenger experience can only really suffer. 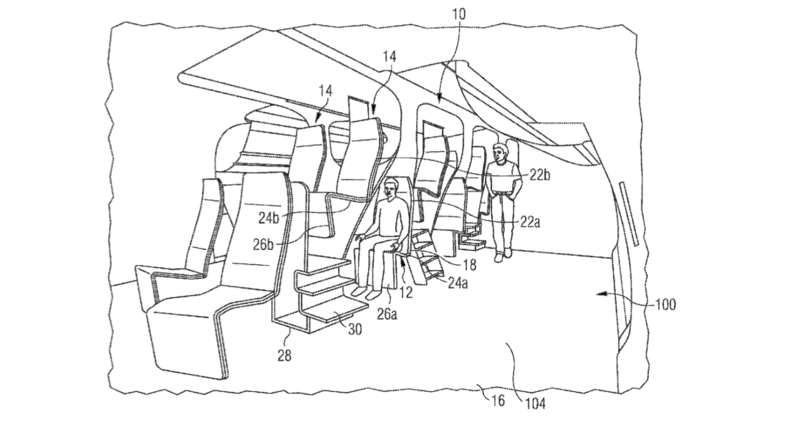 Airbus’ patent images showcase concepts that mean passengers not only have limited pitch between the seats, but also limited head room, meaning the sense of claustrophobia is only increased. There is also only a small benefit as seat construction means steps and increased structural form needs to support and allow access for passengers situated above the passengers on the lower level. The patent may only be in a move to protect them from rival Boeing offering a similar product, however customer reaction will most likely keep both firmly at bay. From our aviation experience, we can think of a long list of legal and commercial implications to overcome if any airline was crazy enough to consider such a product. From safety concerns, weight implications, boarding and passenger number limitations through to the minimising of overhead bins with increased pax numbers, crew service problems as well as of course air circulation and emergency procedures. While there are elements from this patent application that may come to exist in the future, its unlikely to see the entirety on a flight any time soon. However, one thing is for sure. As airlines continue to try and push more passengers into their aircraft, in a bid to increase profitability amongst high fuel costs, they also seem to be investing into their premium products, in a bid to secure the loyalty of their most affluent passenger base. And so it seems, the great divide begins. Interestingly, there are 2 versions of the Jennifer Aniston commercial – one refers to a lounge, the other refers to a bar. And the drinks at the end of the commercial are different (one is non-alcoholic). In no way am I a fan of Jennifer Aniston, and I much prefer Qatar Airways to Emirates, but I love this tongue-in-cheek TV ad. As a former flight attendant for a major U.S. international carrier, I got a good laugh out of the depiction of the snarky American – nationality, not airline – flight attendants grazing in the galley on foil-topped Economy Class entrees. (Been there. Done that.) Well done, Emirates! I luv d ad, it was funny & savvy. Jen’s so funny as well. Luv her!